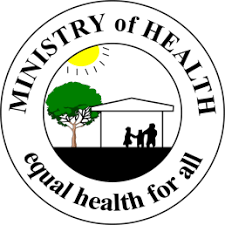 The Ministry of Health (MOH) has been notified of a confirmed case of Pertussis, commonly known as ‘Whooping Cough,’ by the Center for Disease Control (CDC). In a press release issued on Tuesday, April 17th, the CDC reports that the confirmed case is that of a visitor, who traveled to Belize during the third week of March 2018. The Ministry was alerted on Friday, April 13th, and since then, an investigative team has been created to inform and follow-up with those the infected person may have interacted with. According to the information received at MOH, the visitor was considered infectious during their travel to Belize. As investigations continue, there have not been any reports of any other persons being infected. Whooping cough is a bacterial infection where an individual can present with very violent and uncontrollable episodes of coughing, difficulty breathing with a ‘whooping noise’ usually at the end of the coughing episode, vomiting that occurs during or after coughing, and exhaustion after the coughing episode. After exposure, the infection can be transmitted during the first two weeks and the infection can last for up to six/ten weeks. MOH advises that if anyone presents these symptoms, they should visit the nearest health center. The general public is also reminded that clinics countrywide, including in Ambergris Caye, have a whooping cough-containing vaccine, free of cost for children under age five who are considered most at risk. The Ministry asks parents and guardians to ensure that their children are protected against pertussis. Whooping cough can be managed if detected-with an antibiotic treatment, and it is given to anyone who shows symptoms and was in direct contact with an infected person.